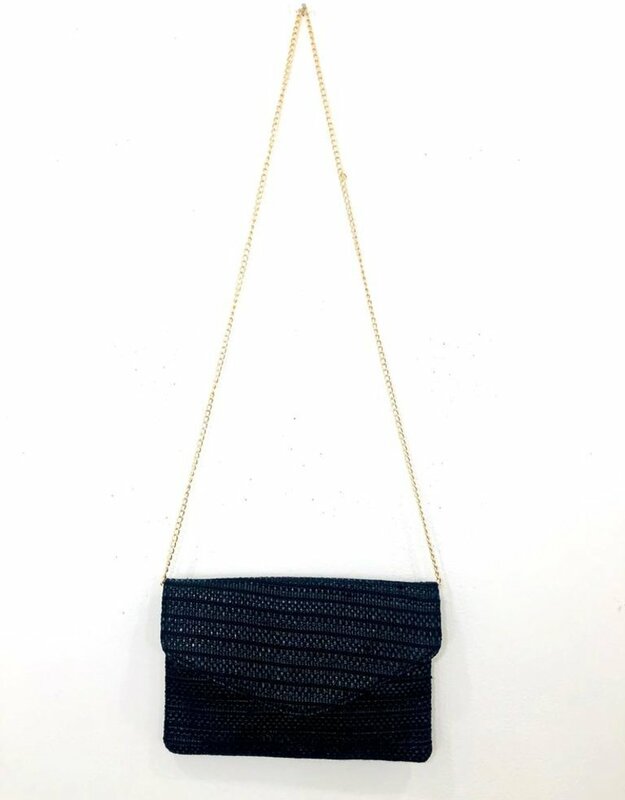 An easy basic you'll use all the time! 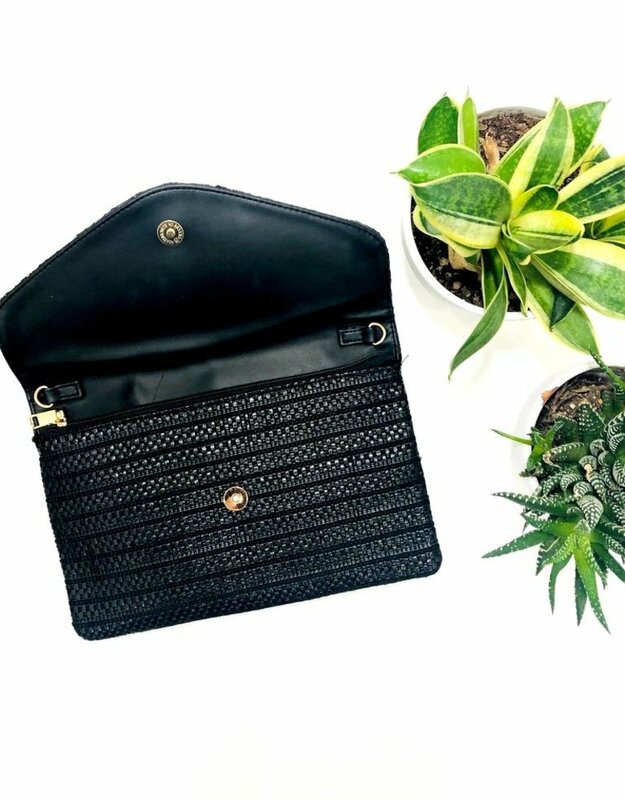 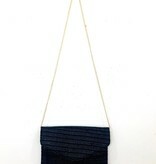 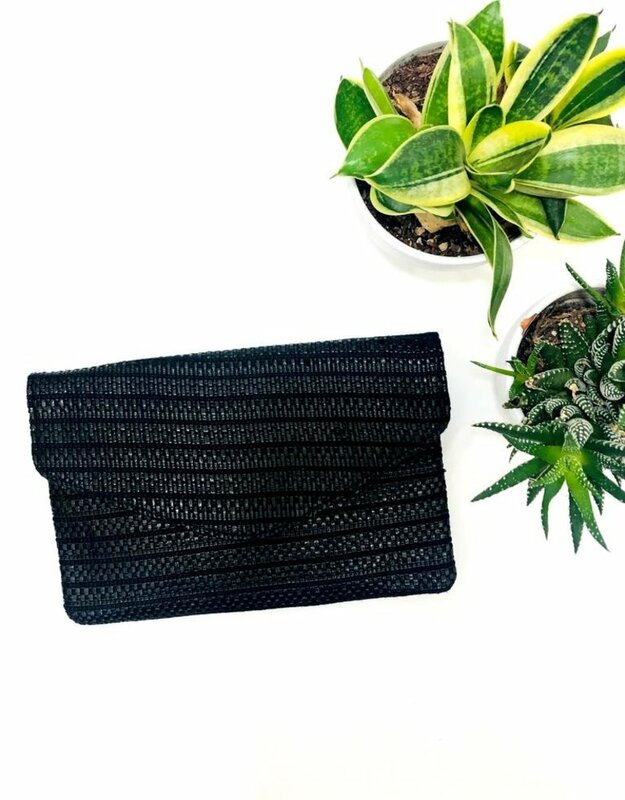 This woven clutch is big enough to hold your phone, sunnies and keys and includes a detachable gold chain shoulder strap. 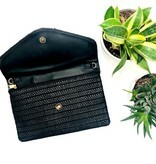 This clutch features a zipper close with inner zip pocket and button front closure.